The weather this week has certainly been interesting to say the least. One day it is blue skies and mildly warm then the next it is cloudy and cold. In fact, over the course of a couple minutes the weather changed from blue skies to pouring down rain. You may be thinking, “hey, it is winter, that’s just the way the weather is,” and you are correct. Unfortunately, the average day during winter brings gloomy gray skies, precipitation and little daylight, which is why the winter season can often put people in a blue, saddened mood. This phenomenon is often referred to as Seasonal Affective Disorder, or SAD for short. This week we continue our series on the perils of winter for our elderly loved ones by exploring SAD and how we can help our elderly loved ones lessen the effects of the gloominess of winter. 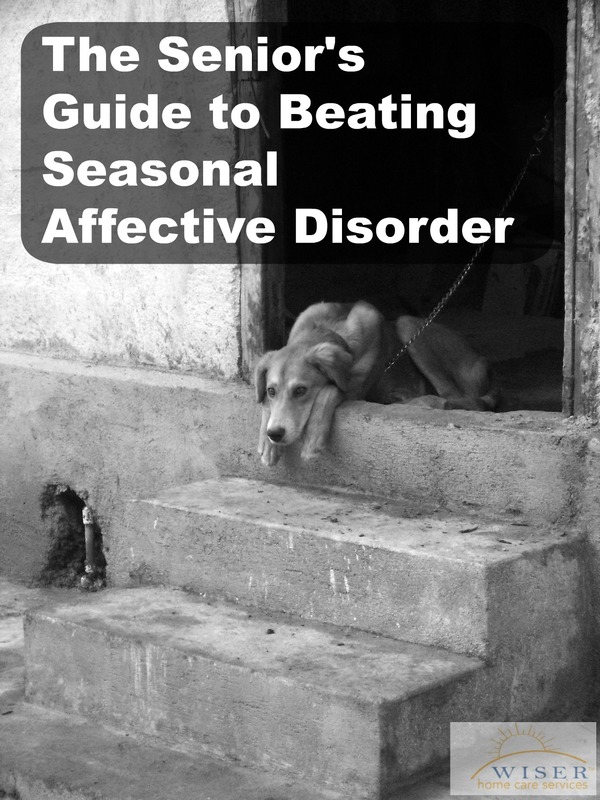 Seasonal Affective Disorder is a type of depression that is linked to the seasons throughout the year. Even though SAD can take place in any season, it is by far the most prevalent during the winter time. It is estimated that nearly 10 million Americans suffer from full-blown Seasonal Affective Disorder each year, and an additional 10-20% of Americans mildly feel the affects of SAD. Additionally, SAD is more common the further north one lives, which makes it even more of a concern for elderly loved ones who live in the Pacific Northwest. Furthermore, statistics suggest that late-life depression affects as many as 6 million people over the age of 65. As you may know, depression is known to increase the risk of attaining a multitude of illnesses for our elderly loved ones. Considering the fact that our elderly loved ones are already susceptible to late-life depression it is important to be aware of the signs of Seasonal Affective Disorder and how to prevent it. Install daylight simulation bulbs. Often the lack of daylight can increase one’s risk of depression. Take advantage of sunny days and take a trip outside to soak in the sun. Maintain a regular exercise routine to keep the blood flowing and increase healthy endorphins. Plan fun activities throughout the winter for your elderly loved one to look forward to. If you care for an elderly loved one and would like help developing a care plan to help prevent your elderly loved one from experiencing Seasonal Affective Disorder please feel free to contact us. We can help your family establish a care plan to personally accommodate your loved one’s needs.